This year’s most talked about list is out. The 2018 XXL Freshman class has been revealed and it boasts the likes of Lil Pump, Trippie Redd, Smokepurpp, Blocboy JB, YBN Nahmir, WifisFuneral, Ski Mask The Slump God, J.I.D. and Stefflon Don. As you can see by the number of people on the cover, there are only nine spots and the tenth spot is missing thanks to Lil Skies declining the invitation after initially saying yes. He was voted in by the fans as the last artist to make the cut, but decided not to participate at the last minute. 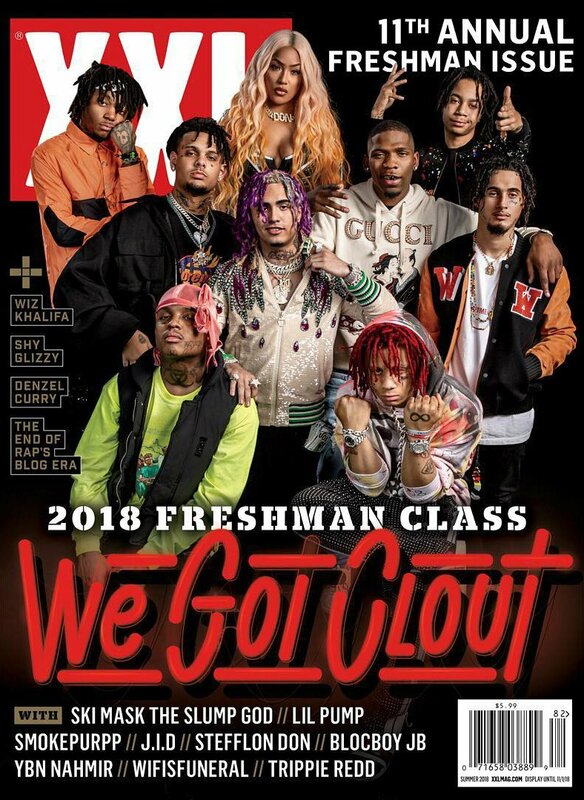 The “We Got Clout” XXL issue of the freshman class is due out on newsstands on July 3. There will also be show in New York City on July 11 at Terminal 5, as well as one in Los Angeles on July 19 at The Novo for fans looking to see these acts live. Who got snubbed for this year’s class?